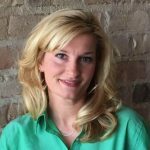 Marlo Sarrett — owner of MS Consulting Group — is a certified QuickBooks Proadvisor providing QuickBooks setup, training, and support. She also offers bookkeeping and payroll services, IT consulting, and more. Work For MS Consulting Group? Claim This Page.